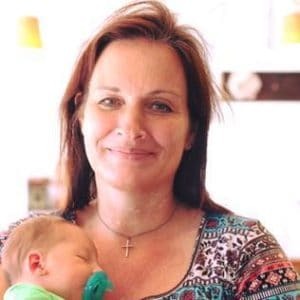 February 11, 2018 0 comments on "Removing Hard Water Stains from Toilet"
My favorite cleaning hacks from removing hard water stains from your toilet. Find out which toilet brush will make toilet cleaning a breeze! January 27, 2018 5 comments on "Miracle Tub and Shower Cleaner"
This miracle shower and bathtub cleaner is made from two simple ingredients: white vinegar and Blue Dawn dishwashing liquid. It does a great job on bathroom faucets and soap scum on shower doors! 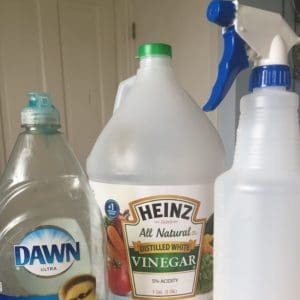 My favorite toilet cleaning hacks! 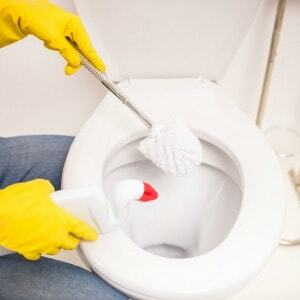 These bathroom cleaning hacks will get your toilet sparkling clean in no time. 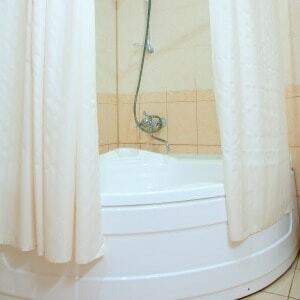 My favorite cleaning hacks for washing rusty colored shower curtains and shower curtain liners. Find out what makes rust stains disappear like magic!